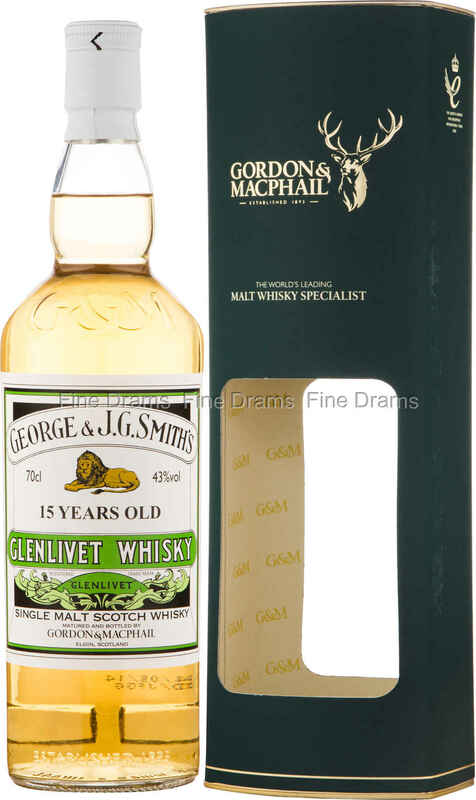 A beautiful bottling of one of the world’s most popular single malts, Glenlivet, from one of the very best bottlers around, Gordon & MacPhail. Based in Elgin, Gordon & MacPhail have a well-earned reputation for bottling some of the finest whiskies on the market today. This is one such dram, a cracking 15 year old, matured in refill sherry casks, which retains all the bright Speyside flavours of apple, pear, warm hay, barley, toffee and vanilla, whilst adding notes of dried fruit, spice and plummy sweet wine. A classic Speyside offering that will appeal to fans of the distillery’s standard range.